Fits ’04-later XL models (except XL1200T, 02-03 883R, models with sidemount license plates, models equipped with Rear Axle Covers, Flat Lens Turn Signals, or models equipped with 2-into-1 exhaust). ’04-later models require separate purchase of Turn Signal Relocation Kit P/N 68732-02A (Domestic), P/N 68733-02A (International) or Layback License Plate Kit P/N 60215-06. 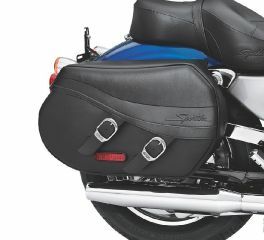 ’11-later XL1200C fitment requires purchase of Turn Signal Relocation Kit P/N 67800071 (Domestic) or 67800077 (International).